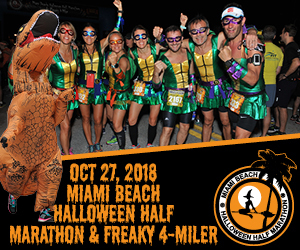 The teams from Wildside Online, Split Second Timing, and Exclusive Sports Marketing are proud to bring a signature holiday themed 5K to Miami Lakes! 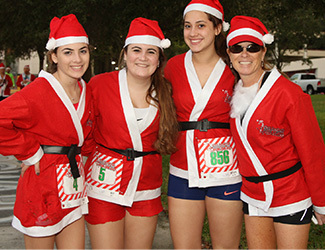 Holiday running events have long become a popular theme in many cities throughout the world. So we figured, Why not Miami Lakes! 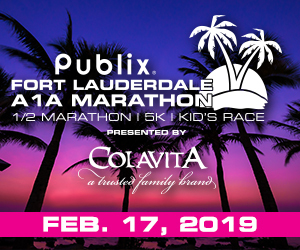 This event is sure to become a signature South Florida event for years to come! So what makes the Jingle Bell Jog unique?! 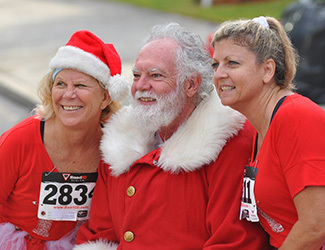 First and foremost, all participants will receive a Santa suit costume, featuring a hat, beard, jacket, pants and a belt; and of course Jingle Bells to attach to your running shoes! And yes, we expect everyone to wear the Santa Suit! 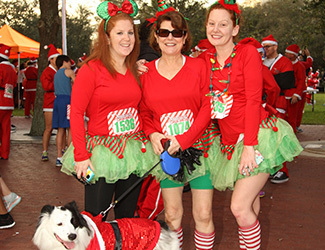 The sights and sounds of thousands of bouncing and jingling Santas along the course will be memorable! 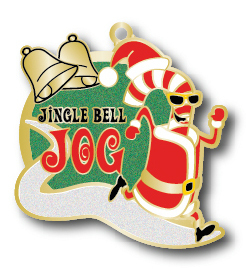 Additionally, all finishers will receive a Candy Cane themed medal. The event is open to both runners and walkers; adults and children. No matter how fast or slow you finish, you are guaranteed a Santa Suit, and a medal when you cross the Finish Line!